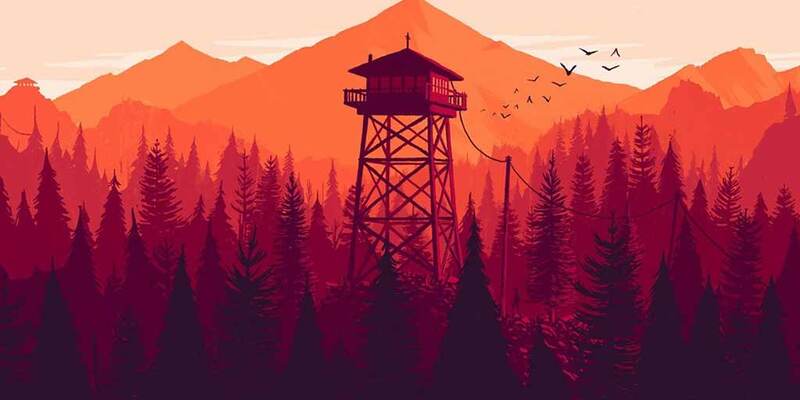 Firewatch Has Officially Sold Over 1 Million Copies | Nerd Much? Firewatch, one of the more popular indie titles of 2016, has finally sold over one million copies. The announcement came via Camp Santo’s official Twitter, “sometime late last year we sold our one millionth copy of Firewatch. Thank you all so much!” and featured a lovely screenshot of the game’s opening screen. According to Steam Spy, the PC version sold well over 500.000, which includes copies from Steam directly as well as those sold by other stores. Assuming the rest is split between PS4 and Xbox One, PC copies may well be the platform where the game sold the most. Firewatch was made available on PC and PS4 first, and later came to Xbox One. Since then, the studio released a limited retail version of the PS4 version and updated the game constantly to iron out performance issues and add a free roam mode. The game has had mixed reviews, though apparently still popular enough. I think as long as you are aware that the game is a visual novel about personal exploration, rather than any wild conspiracy theory or horror element, you should enjoy the game just fine. The scenery is more than enough for anyone to enjoy and likely most of the reason the game as sold so many copies. What did you think of Firewatch, disappointed or pleasantly surprised? Let us know in the comments below!